This book, in hardcover form, originally came out in 1969 (with a later, revised paperback version being released in 1975) and was to my knowledge the only book of its kind. In fact to this date, no other book within the United States has tried to do what this book did. I spent $5 on that paperback book and it was one of the best $5 I have ever spent! This book came out at a time that people rearing these magnificent moths today could only dream of being a part of. 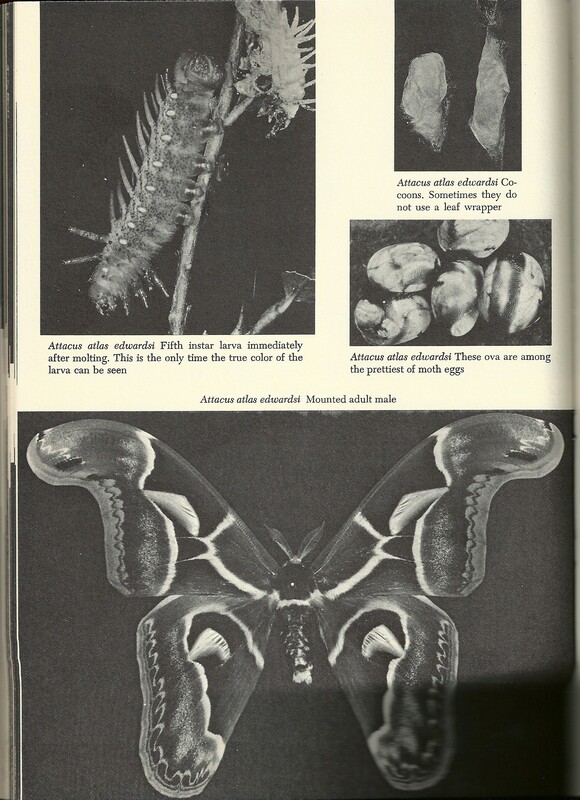 At that time it was easy to import exotic species from overseas and the book even included an extensive list of suppliers. Today government and USDA regulations are very strict so without the proper permits, your chances of raising these amazing animals is slim to none. The 1975 paperback edition that I bought on a school field trip in 1980. 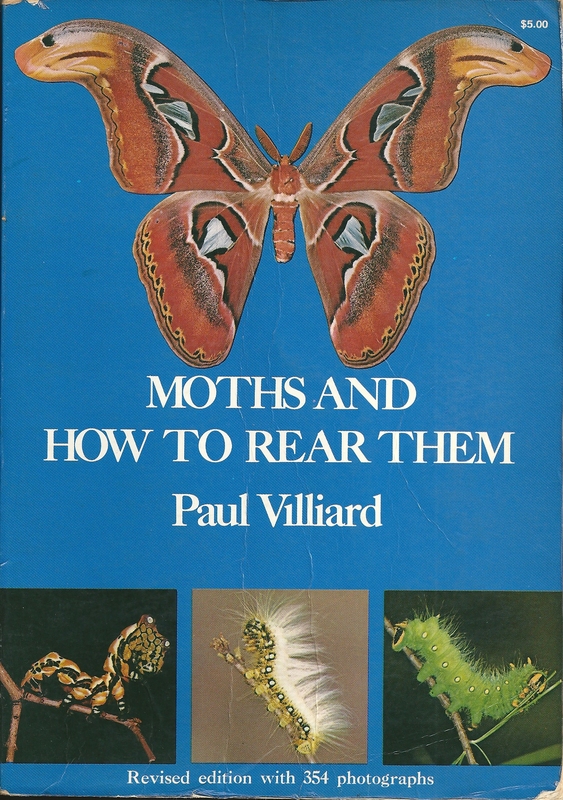 This book covers everything from raising moths to spreading them on spreading boards the proper way so that they look the best in your collection. It is broken into five parts, all of which make interesting reads with much of the information still being relevant today. Section one deals with general rearing instructions. Section two covers photographic and mounting equipment. Section three deals with specific rearing instructions for 88 species of moths, from all over the world. Section four is a photographic guide of what the food plants look like in the winter (in case you need to cut some to force to leaf out inside early) and section five is an alphabetical list of all 88 species of moths with a list of their food plants, as a quick reference. Each individual species is then broken down into 12 sections: Family, Popular Name, Range, Availability, Preferred Food plant, Accepted Alternate Food plants, Diapause, Ova, Larvae, Rearing Requirements, Cocoon and Adult. It’s very easy to use with concise information and no fluff. Most species also feature photographs of all four life stages. Of course a book that is over 40 years old is going to have some errors but for the most part, I have found that the information is still relevant today and very useful. The selection of moths is fantastic and if I had to have one complaint about this book it is that the pictures are all in black and white. With that being said, if everything was in color this book would’ve never cost a mere $5 and to be honest, the pictures are very clear and it is very easy to see details. 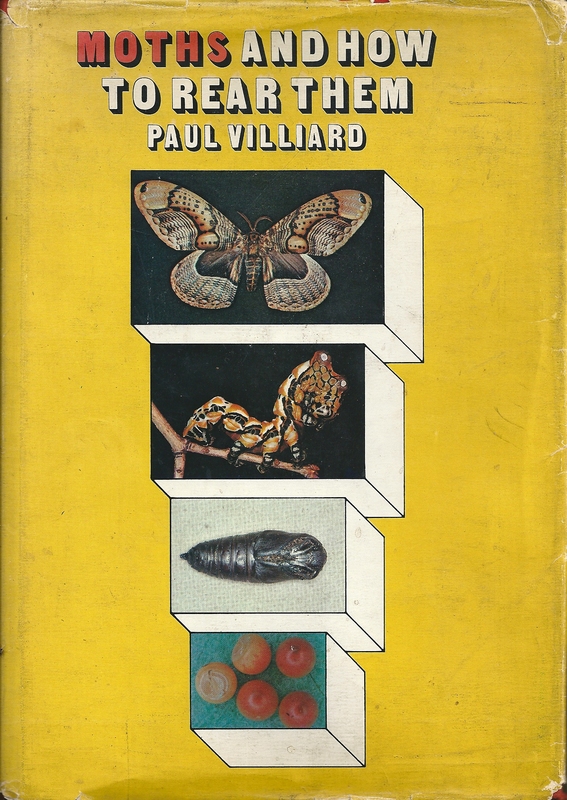 If you can locate a copy of this book I highly recommend it as it should be a part of every lepidopterist’s library. Copies often show up for sale on both eBay and Amazon, though it is tough to get one in good shape. I am guessing that all of the previous owners of these books used them as much as I did, wearing them down and very much needing to be replaced. I wish someone would either re-release this amazing book or even write a new one, covering even more species. There is a German book by Frank Meister from 2011 that is available called “A Guide to the Breeding of Tropical Silk Moths” which is nice. It is in German but also features an English translation. Unfortunately there is very little in the way of photographs. Then there is the absolutely amazing book from 2010 called “Saturniidae of the World” by Rudolph E.J. Lampe that has to be seen to be believed! It features very little text but what sets this book apart from all other books is that it shows, in full color, the life cycles of over 300 species of Saturniid moths! I will be doing reviews of these books soon as well! So start looking on eBay and Amazon and grab yourself a copy of Paul Villiard’s book. I recommend the paperback because it is updated and revised and in my opinion, the book’s cover in this edition looks so much nicer than that of the hardcover book! 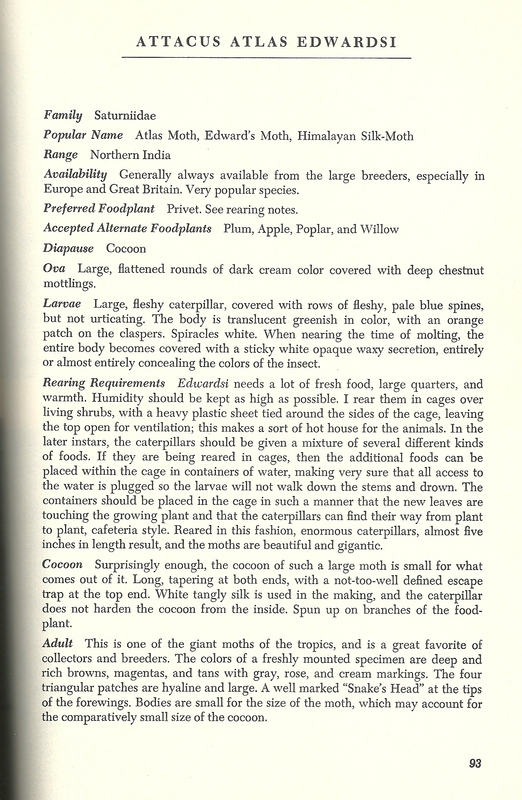 This entry was posted in Rearing moths, Saturniidae and tagged A Guide to the Breeding of Tropical Silk Moths, Frank Meister, Moths And How To Rear Them, Paul Villiard, Rudolph E.J. Lampe, Saturniidae of the World. Bookmark the permalink.